ReWalk is a wearable robotic exoskeleton that provides powered hip and knee motion to enable individuals with spinal cord injury (SCI) to stand upright, walk, and turn. The system provides user-initiated mobility through the integration of a wearable brace support, a computer-based control system and motion sensors. 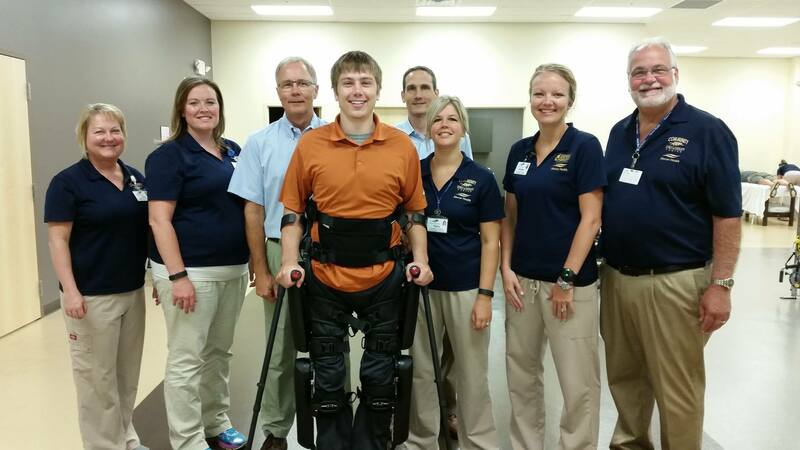 The system allows independent, controlled walking while mimicking the natural gait patterns of the legs. The ReWalk technology is designed for all-day use at home, at work, and in the community. Community Sports and Therapy Center is one of only three certified training centers in the entire state of Ohio to offer this innovating technology. We currently have four Physical Therapists on our rehabilitation team that are certified via comprehensive WW Training Standards program on the required skills to safely and comfortably use the technology. 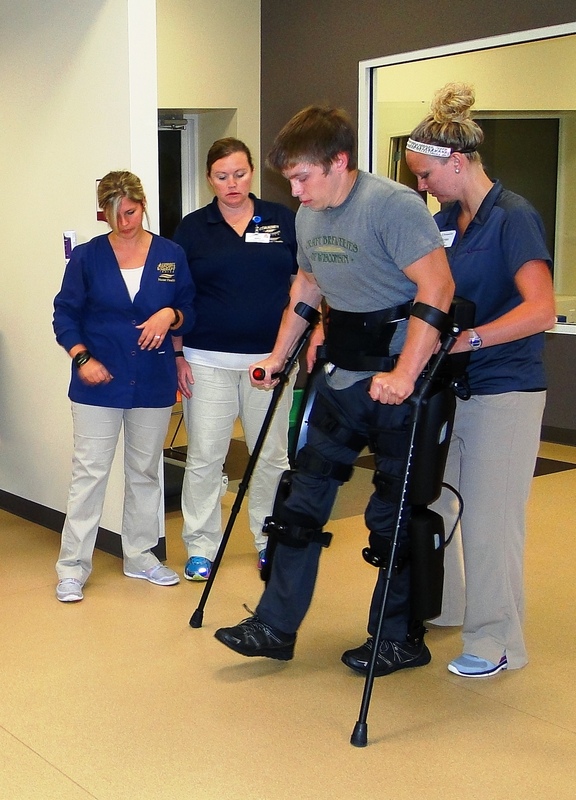 The ReWalk Rehabilitation System can be customized to provide optimal fit for each client. The graphical user interface allows therapists to enter a broad range of parameters for an individual and change them as they progress in their training. ReWalk is the most used and most studied exoskeleton system of its kind via clinical studies and extensive laboratory testing. The battery-powered system features a light, wearable exoskeleton with motors at the hip and knee joints. The ReWalker controls movement using subtle changes in his/her center of gravity. A forward tilt of the upper body is sensed by the system, which initiates the first step. Repeated body shifting generates a sequence of steps which mimics a functional natural gait of the legs. The new ReWalk Personal 6.0 System is designed for all day use at home and in the community. It is the most customizable exoskeleton and is configured specifically for you. This precise fit optimizes safety, function and joint alignment. Please call our qualified ReWalk therapists with any questions and find out how you can become a part of this innovative program. Contact us at 419.586.2077 for additional information.